The reason is simple – if you increase the supply of road space then you also increase the demand for its usage (what’s known as induced demand). It encourages people off public transport and into their cars until eventually the increase in car usage saturates the road space and congestion returns. These were the findings of a University of Toronto study into widening of roads – “In particular, if you had 1 percent more roads, you had 1 percent more driving in those cities”. 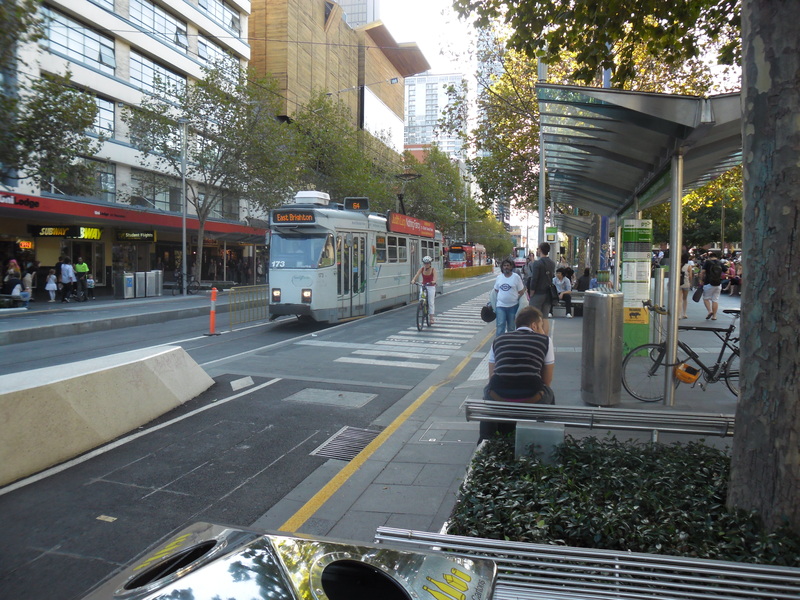 This is why the proposed pedestrianisation of major city streets in Australia, such as Swanston Street in Melbourne or George Street in Sydney, is not the horror idea that you might first imagine it to be. The city of Seoul in South Korea went one step further, and removed a major highway from the city (see video below), replacing it with a stream that was originally there. But rather than a massive increase in traffic and congestion, people moved to public transport or changed their travel times to work around the new road space availability. This phenomenon was described (at around 11:45 in the video) by comparing traffic to a gas – it expands or compresses to fit into the space provided, rather than a liquid – which spills over and floods other areas when not enough capacity is provided. If you want to reduce congestion, the way to do it is to invest in public transport, cycling and walking infrastructure, all things that encourage people out of their cars, rather than merely building new roads or widening existing roads. There is one big exception to this, and that’s new roads that take traffic off local roads. The Lane Cove Tunnel, which took cars off Epping Road, and the Cross City Tunnel, which took cars out of the CBD, are both recent examples that meet this description. All new freeways do this to some extent, so the question is whether this is the primary function of the road or merely a by-product.